Acrylic Prismatic diffuser sheet is produced with a textured pattern on one side. These sheets are optimal for light transmission and diffusion for use in lighting applications. Acrylic Prismatic diffuser sheet is made with a textured pattern on one side. The sheets are optimal for light transmission and diffusion primarily for fluorescent strip lighting and other lighting applications. Fluorescent light fittings primarily seen in offices. 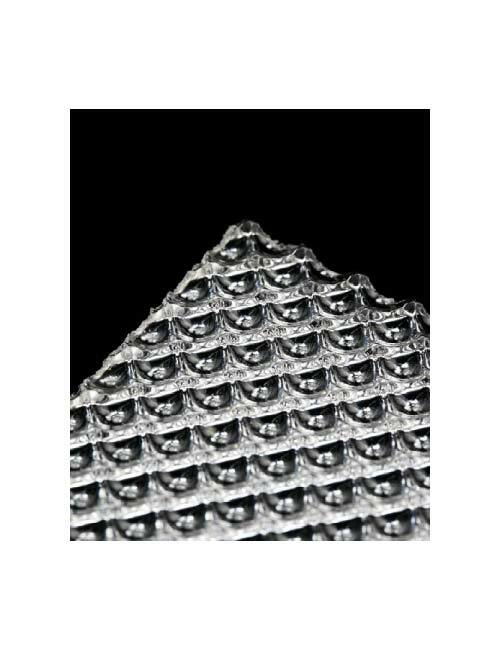 The textured finish produced by differing structures of prisms on the face of the sheet optimises light transmission and diffusion and controls glare when used with lighting applications. Prismatic diffuser acrylic is a strong sheet material with high rigidity but remains lightweight, easy to handle and install. Used almost exclusively for the production of diffusers for light applications and lenses, acrylic prismatic sheet is easy to cut and shape into almost any design.